This coincidence may be a tricky one to present to you. It involves a very new song by an artist on a major label. As I’ve found in the past, the major labels that these artists are on don’t take too kindly to bloggers putting even tiny amounts of the artists’ music on blogs. When a blogger does attempt to put said music on their blog, the major labels tend to wield big legal sticks and say sorts of unpleasant things. So I’m going to change the name of the major label artist, but you’ll be able to discover the identity through the links. This coincidence stems from a song by Australian band Splendid. Within the first 15 seconds of hearing it I was reminded of two other songs. Here’s another Facebook-conversation-inspired coincidence. 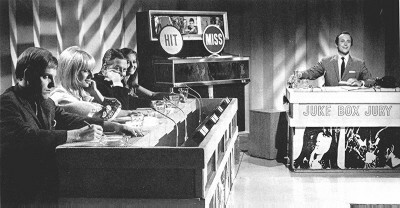 And this one, like the earlier one, was initiated by Facebook Fiend Friend Scotty (Hi, Scottster!). Scotty posted a song by Australian troubadour Tim Reid called “Love With You“. When I heard it, one of the song’s melodies reminded me of a melody in a song from a year before. Considering the Starclock track has never been readily available anywhere (i.e. hardly anyone’s heard it), I’m 93.219% sure that’s a coincidence. Song of the day: Starclock – "Girlfriend"
It’s been a while since I pestered you with a song from the astonishing power pop album that apparently no-one’s ever heard of (Starclock’s self-titled album from 2002). Song of the day: Starclock – "Potion"
I’ve said this plenty of times to anyone silly enough to listen, but if you’re a power pop fan and you haven’t heard Starclock yet, I’d say it’s the best album you’ve never heard. And this is without me even knowing just what kind of power pop you like. 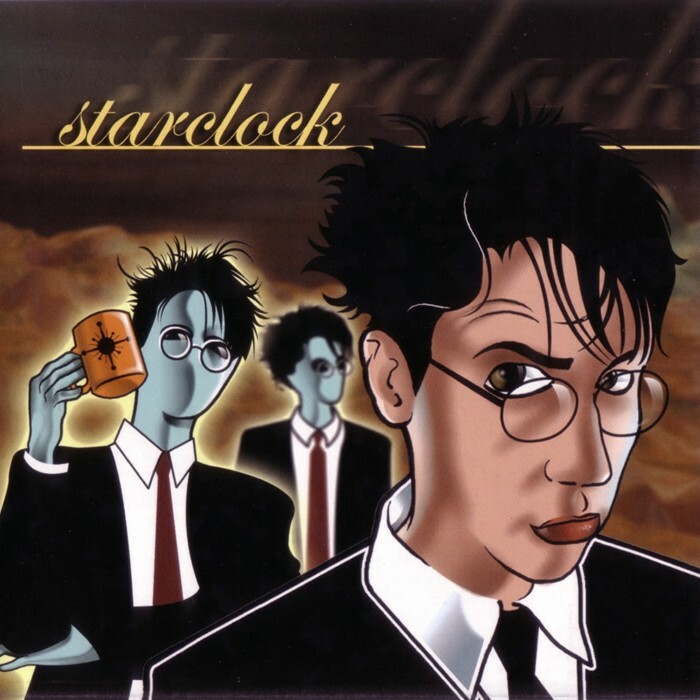 Song of the day: Starclock – "Glasses"
I’ve pestered you before about Starclock who released only one incredible – and incredibly unknown – album in 2002 before disappearing into the ether, never to be heard from again. I won’t repeat what I said in my previous post (which entered into the realm of fanboy gushing), but I will go down on my knees and plead with you: please, please, please, please, please listen to the album. You are currently browsing the archives for the Starclock category.